Waterloo-based DaCapo Chamber Choir is celebrating its 20th anniversary with this release featuring Canadian choral works by six established and four emerging composers, set to words ranging from Shakespeare to D.H. Lawrence. Recorded in four sessions over a two-year period, each work was a choir premiere, with all but James Rolfe’s composition featured in DaCapo’s annual, national composition competition. Choral lovers will rejoice (and perhaps sing along) to these diverse works. Of the established composers, Benjamin Bolden’s Harvest features classic choral counterpoint with slightly atonal sounds interspersed with tonal sections. Jeff Enns’ Le Pont Mirabeau has higher-pitched Romantic harmonies to stress the words. Rolfe’s Shadows is a to-be-expected well-written piece with dramatic word-painting rhythms at “autumn deepens” and atonality on “distress,” and a vibrant unexpected high-pitched tenor solo (sung by Brian Black) at the dramatic highpoint. Emerging composer David Archer’s In Sweet Music is a slow work with classic choral qualities (swells and lyricism) with a touch of minimalism at the repeated “fall asleep” end part. Works by Christine Donkin, Don Macdonald, Sheldon Rose, Matthew Emery, Nicholas Ryan Kelly and Patrick Murray complete the recording. 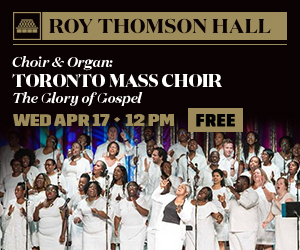 Conducted by founding artistic director Leonard Enns, the choir sings with both technical and musical acumen. Each vocal section is strong, knowledgeable and unafraid to sing both new and established choral sounds with perfect balance and articulation. Canadian choral music shines thanks to DaCapo!